Leadership begins with self-awareness. 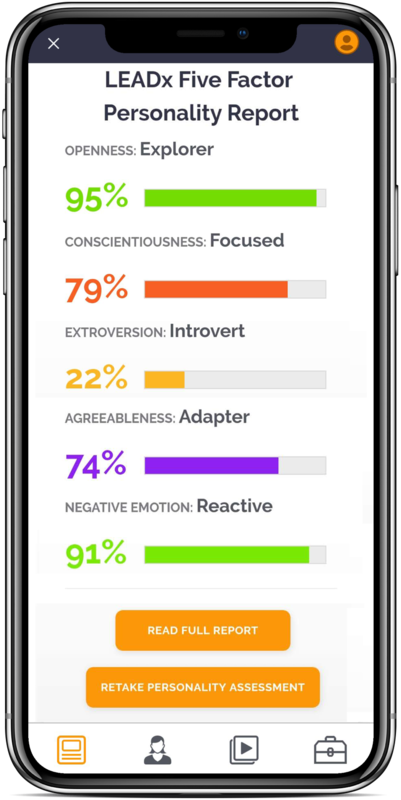 Now you can discover your true personality with an AI-powered assessment based on the Five Factor Model of Personality. "The Big 5" is the most validated personality assessment ever created and is considered the gold-standard among psychologists worldwide. Coach Amanda will explain your personality and uses your unique profile to personalize your leadership training down to the sentence level. And if your company has already standardized on DISC, Myers-Briggs, or StrengthsFinder, we support those too! Great leaders have high self-awareness! Now featuring AI-powered personality assessments for effective leadership development and management training.